View all posts filed under Spotlight. 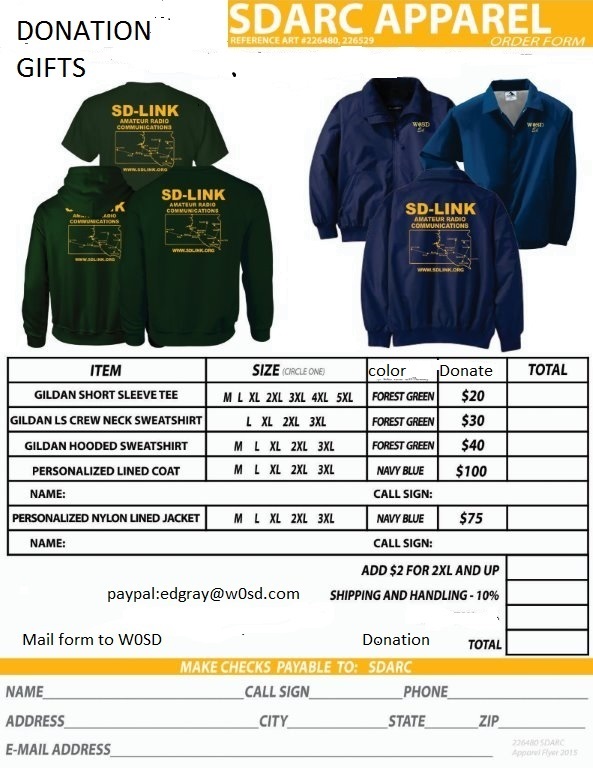 The South Dakota Amateur Radio Council has SDARC apparel in stock as gifts for donations to SDARC for the SD-Link. Donation gift selection sheets are available at www.sdlink.org or on the SDARC Yahoo site under files or can be gotten from W0SD as an e-mail attachment. South Dakota QSO Party This Weekend! uth Dakota stations send signal report and county. We’ve upda ted the operating schedule and you can view it here. See what bands and times we’ll be on the air. Thank you for participating, it’s been great fun! Hams in South Dakota will be participating in the ARRL Centennial QSO Party during the 3rd week in May. 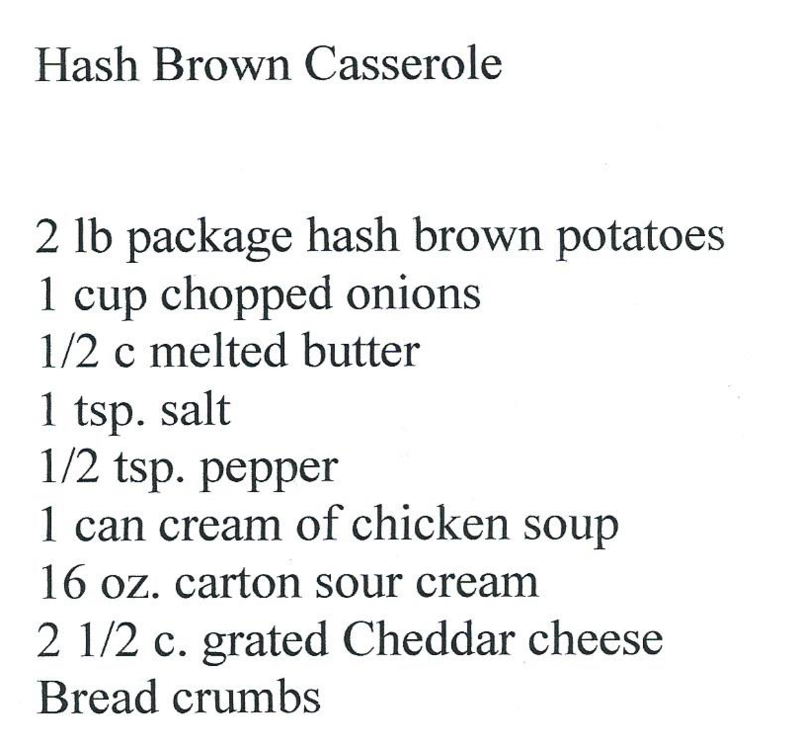 If you’re a Ham in South Dakota and would like to participate, please use the contact form on this website. Operating schedule is located here. What is the Centennial QSO Party? The ARRL Centennial QSO Party is a year-long operating event that celebrates hams making contacts. In the end you will have accumulated points, worked new stations and made new friends all over the world.The Centennial QSO Party is made-up of two main activities: 1 W1AW operating portable in each state and most territories; and 2 The Centennial Points Challenge which is the accumulation of points from qualifying contacts made throughout 2014. To have a score listed online in the Points Challenge competition, logs must be submitted through the Logbook of the World LoTW system.W1AW will be on the air from every state and most territories, and it will be easy to work WAS working only W1AW portable operations. This is the first ARRL-sponsored operating event where every member is worth at least one point, so work as many points as you can during 2014! Earn awards based upon points, working all states or working W1AW portable in every state and territory. This is an on-the-air event like no other. I saw this youtube video and thought it might be interesting to show on our website. He sticks to VHF/UHF, but I couldn’t find a review of the IC-7000 on HF. The filters used on HF are fantastic and fun to play with. 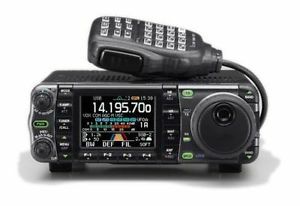 Icom IC-7000: I got this radio in January of this year and still haven’t figured out all of the features. So far I like it pretty much. It’s compact, got a fine receiver and the display is easy to read, even mobile. There are lots of other features that I like, but I’ll let the video do the talking. In the spotlight today is an excellent website for taking amateur radio practice exams. The AA9PW amateur exam practice website is built and maintained by Simon Twigger, aka AA9PW. If you live in or around the Pierre area, once you feel you’re ready then please contact us to take the actual exam for your ham radio license. PARC usually holds testing during the Amateur Radio field day event in June. More on that to come. Using this site you can take a full practice test by using the form on the top left of this page – pick an exam to try and click ‘Take Exam‘. Alternatively, you can visit the Technician, General or Extra license pages where you can pick and choose the topics to practice so you can build up to a complete exam. 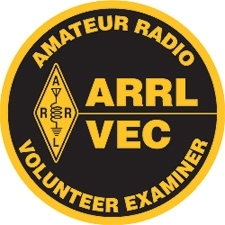 Read more at AA9PW FCC Exam Practice » Amateur Radio Exam Practice. 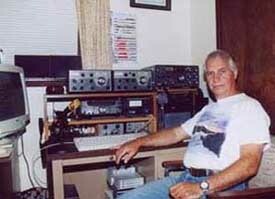 Welcome to the WB5TKA Amateur Radio Web site. I hope that you find your visit informative and interesting. Well at the least, it may be amusing! Since you are here, it’s most likely because you are a amateur (ham) radio operator or, you are at least interested in the hobby. Hobby? I think that it is that and more. Stay with me now. Somewhere on these pages I hope to make a better distinction between a mere hobby and a passion. If ham radio is a major passion for you as it is for me, I hope that something here will be interest to you – technical or otherwise. Share your ideas and experiences with me. 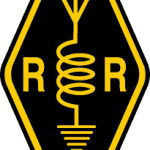 If you are unfamiliar with the ham radio, or if you have preconceived ideas about it and about those who enjoy it, stay with me. Perhaps I can share some of the excitement those who enjoy it experience. Perhaps I can also dispel some of the negative stereotypes. 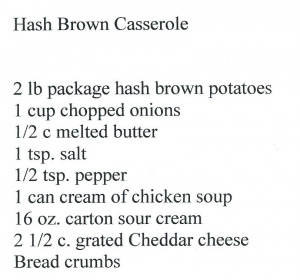 I’ll have a go at it, at least. Read more at WB5TKA Amateur Radio Station.